Popular fiction, best-selling novels, escape reading or whatever term you use to describe such books, it does not matter. Such reading is a waste of time. Reading fiction, unless it is fiction that has attainted the status of being classic, is a distraction. For those reasons–time wasting, distractions–and others, I make it a point to not read more than 20 or 30 such novels a year. I call them my dessert reading. These are books that promise to be page turners. They might educate and illuminate, but their prime calling is to entertain. We can make the argument that all good literature is designed to entertain, to create joy. But Dostoevsky functions like a investment banker. 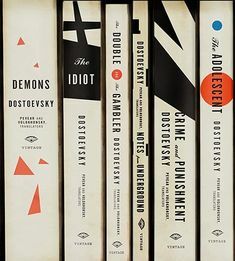 He says, “Bring me a sizeable amount of intellectual cash and I will find you some beneficial dividends.” Dostoevsky, by the way, pays quite high dividends, but you have to have the means to make the initial investment. No casual investments here in Fyodor Dostoevsky’s novels. Popular fiction is a give-away, a party, a place for freebies. The sign says, “Free fun, delight, entertainment.” I like investments, but I also like free. I teach mental investments all day long. I am telling my students to invest in history, in literature, in theology, and in thinking. After a day of brain market management, I enjoy sitting back and just receiving a fun dose of words and adventure. This resembles my times of dessert reading. At least the book and coffee cup look similar. 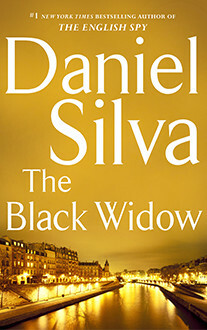 Last night, I finished reading my fourteenth Daniel Silva novel. Titled The Heist, this is number 14 in a series about an art restorer named Gabriel Allon. I am tempted to say, “I read the books because they educate me about paintings and art restoration.” I am sure that Silva could have written one or two worthy novels about an art restorer, but Gabriel Allon is constantly interrupted from his restoration work. The interruptions occur because the artistic beauty of this fallen world also needs restoration. Just as Allon meticulously removes damaged materials from paintings, he also meticulously removes damage from the world. Allon is a spy, a gunman, an agent of the Israeli intelligence service, which is usually referred to in the books as “The Office.” He is a patriot, a freedom fighter, a defender of Israel. To be such, he is often a killer. Lots of evil people get their just desserts in the Gabriel Allon series. Simply put, Gabriel Allon kills bad guys. Being that we are in a tangled world, where the black and white divide between bad and good is often hard to distinguish, Allon doesn’t have an easy task. But there are no limits or geographical boundaries to sin. Many of his targets are what we now call Islamic Extremists, Jihadists, or Radical Islamic terrorists. It might be a bit touchy in America to use such labels, but Allon and his nation deal with such threats often, both in fiction and in reality. Swiss bankers protect evil men. Art thieves steal great works in order to fund themselves and promote evil. Shady politicians conspire to cover up misdeeds, and even the Vatican hides secrets. The Gabriel Allon series is a series of pictures of the modern world, or at least some aspects of it. 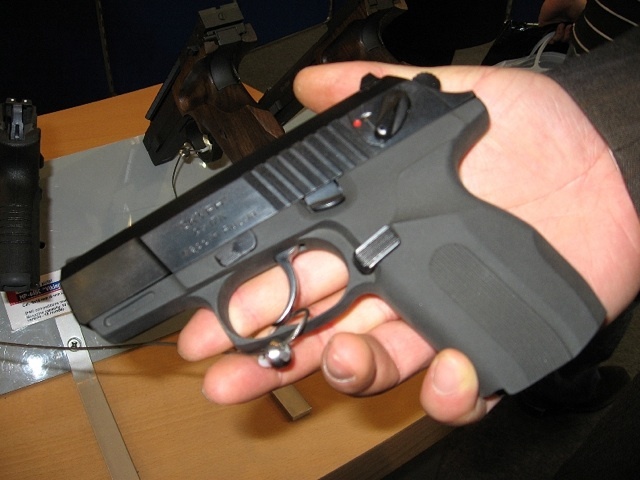 Granted, these works are fictional; the operations of the Israeli secret service are fantastic and often unbelievable; and Gabriel Allon seems to survive a series of mishaps that would have taken out anyone else. While there are now 16 books in the series, a reader can begin anywhere. Saying that, it is better to read the earlier books. For one thing, it helps to establish the meta-narrative of Allon’s life and family background and the background of the recurring characters. In almost every book, there are brief recaps of Allon’s life and previous confrontations. These are good reminders for the long-time readers, and helpful connections for newer readers. 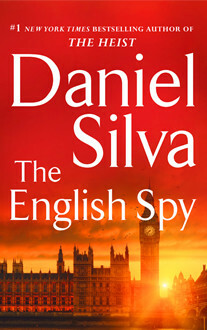 Reading the books in order also enables the reader to watch Silva’s skills as a writer of thriller, spy-espionage novels improve. Characters that were flat in earlier stories develop and grow as the stories progress. They become like old friends, and we–the readers–smile when they show up in each story. I think I started reading this series about 3 years ago. 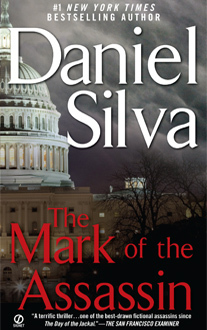 I learned of Silva from George Grant, who placed Daniel Silva on his list of favorite living authors, alongside of writers like R. C. Sproul and Paul Johnson. I wondered if I would like Silva since I already shared a liking for so many of the same authors as Dr. Grant. That led to me starting to collect and read Silva’s book. Popular fiction is easy to collect because many people read the books once and lightly and then pass them on. Most of the books I have were purchased in used book venues for a few dollars each. A couple of the earlier works are a bit harder to find. Thankfully, most books are only a few clicks away on the Internet. I could have read the books at the rate of one or two or even three a month, but I usually spaced out the reading. The idea was to savor and enjoy them as long as possible. I really had to work to restrain myself once I got to about the third book. Here is the order of the novels. I actually began with The Prince of Fire, and it was a while later before I was able to acquire the earlier novels. Now comes the sad part. I have finished all fourteen of the Allon series books I own. There are two more, but I have yet to acquire them. 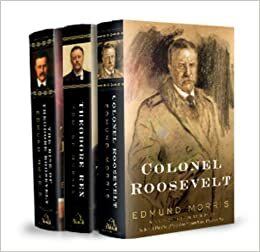 I will have to try to survive until these next two volumes–one of which is brand new–show up somewhere for a pittance. Published in June of 2015, I am still searching for the new or like-new hardback copy with dustjacket that is cheap. The good news is that I have a few other books that can fill in the gaps until I am back with Gabriel Allon and his companions as he works on a piece of art restoration and the Israeli intelligence agency. There are still plenty of evil men and organizations needing a dose of Allon’s mixture of law and grace. The most recent Gabriel Allon novel. I will have to wait a while before I get this book. 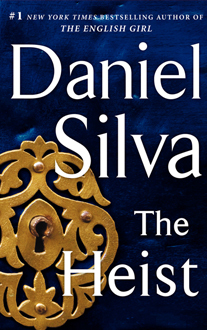 Post Script: Daniel Silva’s first novel about Gabriel Allon, The Kill Artist, was the fourth novel he wrote. The previous novels are seen below in reverse order of their publication. Before the Allon series, Silva wrote 3 other books. I do have them and will be reading them soon. 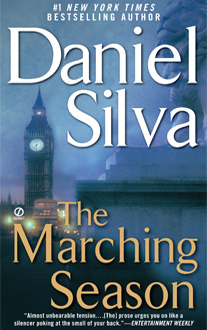 Silva’s first novel, which was set during World War II. But I never drink alone in the mornings. It is the company that enriches the experience. Of late, it has been two older men, two elderly gentlemen. They are both pillars in the Kingdom of God, both faithful saints who are running still, with the blessed finish line in sight. I am speaking of J. I. Packer and Leland Ryken. Both have spent decades writing, speaking, and teaching God’s people how to better grasp the Bible and Christian doctrine and how to live the faith in all areas of life. I have stacks of books these two have written, and I have a quest to obtain whatever volumes are missing from my collection. Dr. Packer, now age 90 and suffering from blindness, is an Englishman who has labored long in North America. Dr. Ryken is professor emeritus at Wheaton College. I regret never having met Dr. Packer. That will likely have to happen on the other side of the divide. I did meet Dr. Ryken back in 2011 when my son Nick entered Wheaton College. Nick and I both plotted and schemed for him, a freshman, to get to take Dr. Ryken’s class on Shakespeare. (We knew he would be retiring soon.) After we met the esteemed doctor of literature, Nick accused me of being like a 15 year old girl meeting Justin Bieber. “What did he write?” I asked. Dr. Leland Ryken, Ben House, and Wheaton freshman Nick House at Wheaton College in August of 2011. Leland Ryken has written quite a few books on literature, Christian thinking about the arts, and on the Bible. J. I. Packer has written quite a few books on Christian topics ranging from his classic Knowing God to the book that tackled a tough subject Fundamentalism and the Word of God and an even tougher subject Evangelism and the Sovereignty of God. Again, if either of them wrote, I want to read it. 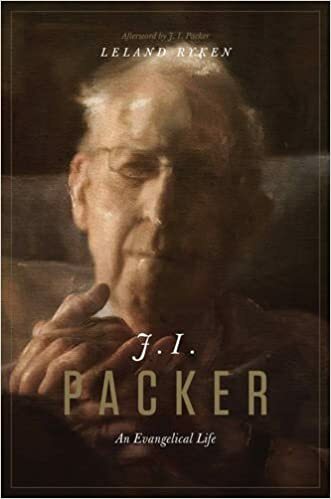 Recently, Dr. Ryken wrote a biography of J. I. Packer, titled J. I. Packer: An Evangelical Life (and published by Crossway). This book, along with a book by Sam Storms titled Packer on the Christian Life, immediately raced to the top of my want list. Both are now safe on the shelf, or rather, in the case of the Ryken book, safe on the book stack. Ryken’s biography could easily be the race through, gulp down, read really fast kind of book. It is that good. But, I am savoring it. At this point, I am only reading it in small bits and pieces on Sunday mornings. (I did start a book by J. I. Packer today for daily reading.) I don’t want this opportunity to visit with two of my heroes to happen and be over too quickly. Yesterday’s reading concerned Packer’s education at Oxford. Ryken’s description of Packer’s classical education is a good testimony to that type of educational training. Wow! God is great. There is hope for us all. What a delight to live for a short time each Sunday morning in a country for old men. From the sidelines, from a distance, from the vantage point of books, I have been studying and watching and reading about politics nearly all my life. The evenings back in the late winter and early spring when the Presidential Primaries were taking place were to me like Monday Night Football to other people. I have to take care not to do my morning devotionals on Realclearpolitics.com. This is not normal, and neither am I, and certainly this political year is not normal. Democrats do not nominate aging re-runs. They stopped that trend back in 1960 when the meagre forces for nominating Adlai Stevenson for a third time fizzled out. Republicans don’t nominate businessmen with no political experience since the “Win With Wilkie” signs from 1940 were torn down. The two parties are nominating candidates with more baggage, more negatives, more damaging sound bites, and more scandals than ever before. Plus they are nominating the two old candidates. To my total surprise, I will once again have a choice (?) of voting for two people older than I am. I thought those days were over. Imagine this–if you know enough about political history to chime in with your thoughts–this election year would be something like the 1960 Kennedy-Nixon race being held in 1984. In 1960, Kennedy and Nixon were both young Presidential candidates. In 1984, both would have been hovering around the 70-year old mark. In 1960, Nixon was a bit tainted with hints of scandal and character flaws, but by 1984, the Nixon legacy was thoroughly tarnished as a result of Watergate, the profane Presidential tapes, and a number of other blemishes. In 1960, Kennedy looked young, healthy, tan, and intellectual. For about 30 plus years after his death, many Americans maintained a combination romance/bromance with the legacy of Camelot. JFK was a filthy talking, perverse, immoral, reckless, and sick man. Imagine, however, if it were 1984 and the Republicans nominated an aging Nixon that we knew was crooked, scheming, and devious. Imagine that the Democrats nominated an aging and very unhealthy Kennedy that was known for his mistresses, Mafia connections, lies, and deceit. That is my first, and unoriginal, political point. Here’s my second: Hillary’s “damn emails,” to quote Sen. Sanders, continue to gnaw at her flimsy political capital and haunt her campaign. It is a moral disgrace that the Democrat Party has been frolicking in the park, happily voting for Hillary in the primaries, feeling goosebumps over nominating the first woman for President, and haven’t registered a single troubling doubt about this scandal. “There was nothing criminal,” they say, and thus ignore what the FBI chief did say over what he didn’t do. With the reminders of Bill Clinton’s moral infidelities and abuse of women, with the Benghazi fiasco, with the troubled Obama administration, with the Clinton Foundation’s corruption, and with flip-flops on all manner of issues, Hillary can bark like a dog and win Democrat votes. The Republicans have been given a most enviable race to run. Unfortunately, they squandered a half dozen or more good and decent candidates to pick the worst candidate in their history. And yet, I am slowly being convinced that he might just win. Now for my third point: I could never vote for Hillary. If I could stomach her scandals, I could not agree with her views on social, economic, and governmental issues. If I could overlook Benghazi and the emails, I could not willingly submit to hearing that scratchy, grating voice for four years. If I could tolerate her lies, I could not tolerate her when she is telling the truth, which probably does happen on occasion. Trump’s positions on issues, his stupid tweets, his awful debate performances, his horrible lifestyle, and his concealed tax returns all prevent me from re-uniting with the party I supported since I first voted for a President in 1976 (Ford, Republican, although I preferred Reagan, whom I supported in the Texas primary that year). Trump has made statements that I felt certain would capsize his campaign. Most seem to have either done no damage or maybe even won him more support. Even though I never felt comfortable supporting Ted Cruz, I did give him my affirming nod after Marco Rubio dropped out of the race. But when Donald Trump implied that Ted Cruz’s father was associated with the Cubans behind the Kennedy assassination, I boiled over. What really matters most in the upcoming Presidential election is not who I vote for, but what state am I living in. Often, Americans get irritated at the Electoral College. It is theoretically possible, for a candidate to win the eleven largest states by one vote each and win the Presidency even if that person loses all 39 of the other states by huge margins. More specifically, if only one person in each of those 11 states voted on election day, those 11 people could offset the wishes of millions of other voters. While that wildly hypothetical possibility exists, it is a weak argument to use against the Electoral College. Read George Grant’s excellent book on the topic. We can discuss the details later. I live in a Red State–Arkansas. That means that Arkansas votes for Republicans at the national level. It was one of the last southern states to get in line with the Republican Party. The days of the Solid Democrat South, of the Yellow Dog Democrats, and of the one-party south are over. 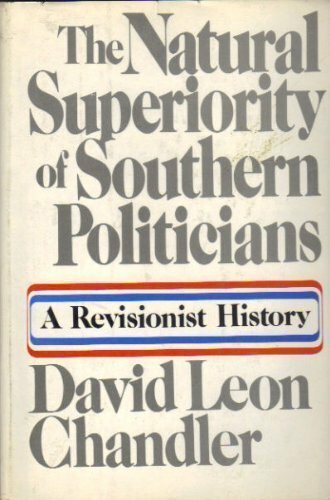 The bibliography here is extensive, but a fun starting place is the book The Natural Superiority of Southern Politicians by David Leon Chandler, a good but terribly outdated read. Arkansas squeaked toward the Republicans in 1980 when Reagan was running. Before that, it went for Johnson (Democrat) in 1964, George Wallace (independent) in 1968, Nixon (Republican) in 1972, and Carter ( a southerner and Democrat) in 1976. Since then, it turned to Republicans except when its own child-prodigy Governor Bill Clinton ran in 1992 and 1996. Four years ago, evangelical based Arkansas went overwhelmingly for Morman Mitt Romney. (Remember how the media said that evangelicals were too narrow minded to vote for a Morman?) Two years ago, in the mid-term elections, Republican Tom Cotton trounced incumbent Senator Mark the Lackluster Pryor even though Pryor was from a prominent Democrat family. Here is the final and key point: If Hillary Clinton and her campaign has any chance of carrying Arkansas, Texas, Louisiana, or Oklahoma (and we could add some more southern and western states to that list), the race is over. If Hillary and her cohorts are devoting time, attention, expensive television ads, and staffing to trying to pick up a state as Red/Republican as Arkansas, she already has the Presidency won. All Hillary has to do is hold MOST of what Obama won against Romney in 2012. 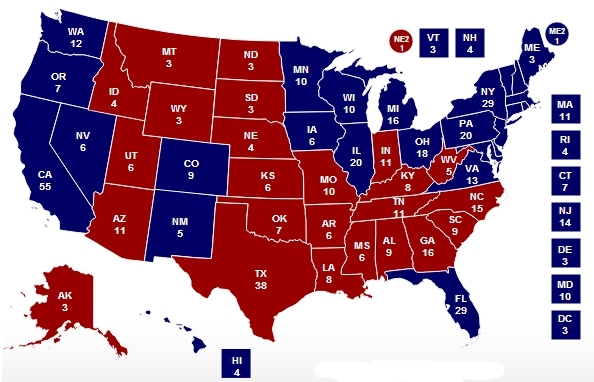 President Obama won 332 electoral votes to 206 for Romney. That means that Hillary could lose two large battleground states, such as Florida and Ohio, and still have a safety net of 15 electoral votes. By the way, for Hillary to win the popular vote will be even easier with the large popular vote in states like California and New York going Democrat. If Hillary can pull even in just one slightly red state, and the two more likely candidates are North Carolina and Georgia, it will be a hard race to win. I think she is beatable, but only slightly so. Her scandals, record, views, and obnoxious personality matter little to most rank and file Democrat voters. The demographics favor her. If I lived in Florida (nice thought) or Ohio (hmmm), I would have reason to worry about my vote. 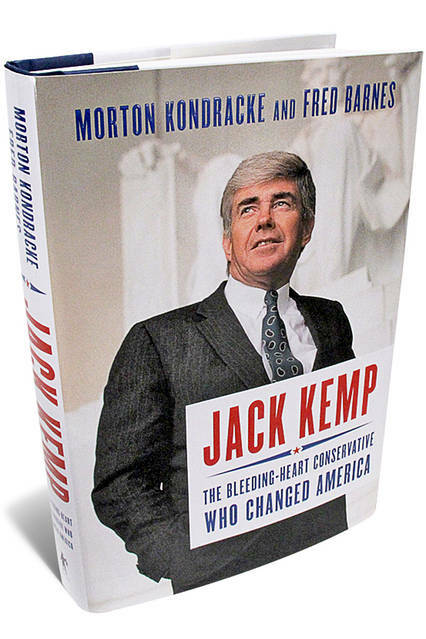 I recently finished reading the book Jack Kemp: The Bleeding Heart Conservative Who Changed America by Morton Kondrake and Fred Barnes. Long portions of the book deal with the details of tax and economic legislation from the 1980s. Numerous times, the authors highlight flaws in Kemp’s personal habits, speechmaking, campaigning style, organizational skills, and policy thinking. While the tax laws may be less than interesting (at least to me) and the personal flaws a sad reminder that Kemp was human, there is something about this book that is far more troubling. There is something about this book that makes me wish it could go away. Here’s the big problem: Jack Kemp should have been either the 41st, or 42nd, or 43rd President of the United States. 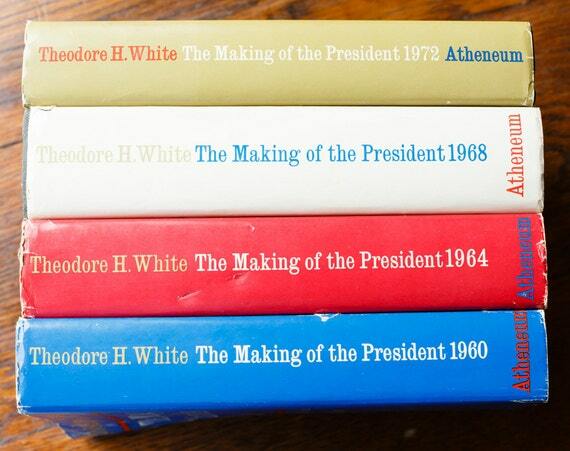 This book should have been a biography of a President. Jack Kemp was a member of Congress from 1971 to 1989. He represented a district in New York that was traditionally a working class Democrat district. He rose to leadership in the House largely through his dynamic personality and strong economic convictions. During the Reagan years, he had his greatest influence on policy, and that laid the groundwork for his 1988 run for the Presidency to succeed Reagan. Failing miserably in the primaries, he was appointed Secretary of HUD (Housing and Urban Development) during George H. W. Bush’s Presidency. Kemp’s last major role on the national scene was his running for Vice President on the Dole-Kemp ticket in 1996. I want to focus on 5 Key Take-Aways from this book. First, Jack Kemp was a reader. His first claim to fame was as a college and later professional football player, a quarterback. He was not, however, a scholar-athlete. He was an athlete that became a scholar. It didn’t happen overnight, but even in his football days, he was reading Frederich Hayek, Ludwig von Mises, and Milton Friedman. Reading became a life-long pursuit. He read to learn and to then apply. He read deeply and thought about what he read. His obsession with economic policies did not spring from polling information or political fads, but from deep rooted convictions after reading. Second, Jack Kemp was a teacher and evangelist for economic and social issues. The book’s subtitle says that Kemp changed America. He did this by changing the thinking of key people. The 1960s-70s produced a number of threatening issues in America. The conservative movement was slowing formulating answers and even more slowing being heard. Kemp, along with some other House and Senate members and people in other governmental roles, being seeing the advantages of supply-side economics. Winning converts to this way of thinking was difficult. The Republican Party had to be won over first. It never totally happened, but Kemp did manage to convince a few, such as Ronald Reagan. Kemp’s love for policies continued with him as a passion throughout his life. Third, Kemp understood how to lead. If anything, he may have been too nice to opponents, too unwilling to burn bridges, too willing to seek bi-partisan leadership. He butted heads with people in both parties. But he also worked to build alliances, coalitions, and working agreements. One of his long-time friends and allies was Democrat Senator Bill Bradley of New Jersey. Kemp clashed many times with Ronald Reagan. Reagan’s diaries contain numerous complaints about Kemp’s hard-headedness, and yet Kemp was one of Reagan’s greatest admirers. Any idea that a real leader could transform America by imposing a conservative agenda on the whole nation is unachieveable. Making enemies in Congress might be admirable to some, but it is not leadership. America has two major parties and dozens of variations of beliefs and convictions within those two parties. Leadership is coalition building. Leadership has to involve compromising. Leadership involves doing things that offend the most adamant ideologues. Kemp, like Reagan, understood that. Fourth, Kemp had a vision for Conservatism and the Republican Party. Too often, conservative “purists” tout themselves as being the “true conservatives,” while belittling opponents as being sell-outs, RINOs, and even moderates or liberals. Conservatism, as understood by such people as William F. Buckley, Ronald Reagan, and Jack Kemp, is not a nice neat square package with sharp corners. Remember that Reagan had such people in his circles as Democrats Jeanne Kirkpatrick and Patrick Monihan and Republicans such as Richard Schweiker. Kemp wanted to see the Republican Party drawing lots of votes from African-Americans, Hispanics, and other minorities. He transformed the Department of Housing and Urban Development by his vision of actually using government to help the poor and needy to help themselves. He really had a desire to reach out to people of different backgrounds, levels of education, and political affiliation. Sadly, the Republican Party has stagnated on this kind of appeal. It is currently re-defining itself as a white working-class party, after having been a more white upper-class party in previous years. Kemp’s football career gave him lots of firsthand experience with working alongside black athletes. It also exposed him to white prejudice. Fifth, Kemp exemplified what a conservative Christian candidate for high office would look like. There are, no doubt, many conservative web-sites and writers who scoff at the idea that Kemp was a conservative, or certainly was not a “true conservative.” We expect Abraham Kuyper to suddenly emerge without having the groundwork for such a leader. And, most Calvinists I know would oppose Kuyper for being a sell-out. A Christian politician has a different ministry than a Christian pastor or theologian. The church is to protect sheep against wolves, while the government often has to be a coalition of all kinds of animals. Politics is not for everyone. Kemp was a Presbyterian with definite Christian beliefs personally and convictions on a public scale. He never aspired to become Theologian-in-Chief or Pastor-in-Chief. He was, like all believers, weak in some areas of understanding and practice. Some of his views needed a bit of fine tuning. But he was a man of true faith and desire to serve God in the field of public service. A final and less important point: I had always wished that Jack Kemp had been elected President because my wife’s maiden name is Kemp. Maybe I could have benefited from that connection! History books come in different modes and styles. They vary as much as breeds of dogs. Some of my favorite history reads are biographies. Accounts of particular events, such as battles or political reigns, are also enjoyable. Specialized histories are often overly detailed and appealing only to a limited audience. Some topics, whether broad or narrow, reach wide groups of people. Of late, I have read several really good books that have been overviews of wide and ranging topics. The ones I will feature here are all books that could just as easily fit on the “theology shelf” as on the “history shelf.” When I read Loraine Boettner’s Studies in Theology back in 1974, my mother asked, “Are you changing your [college] major?” “No,” I answered, but I sensed that I was changing how I would understand my major–history. The works of C. Gregg Singer and R. J. Rushdoony further confirmed my new-found direction. 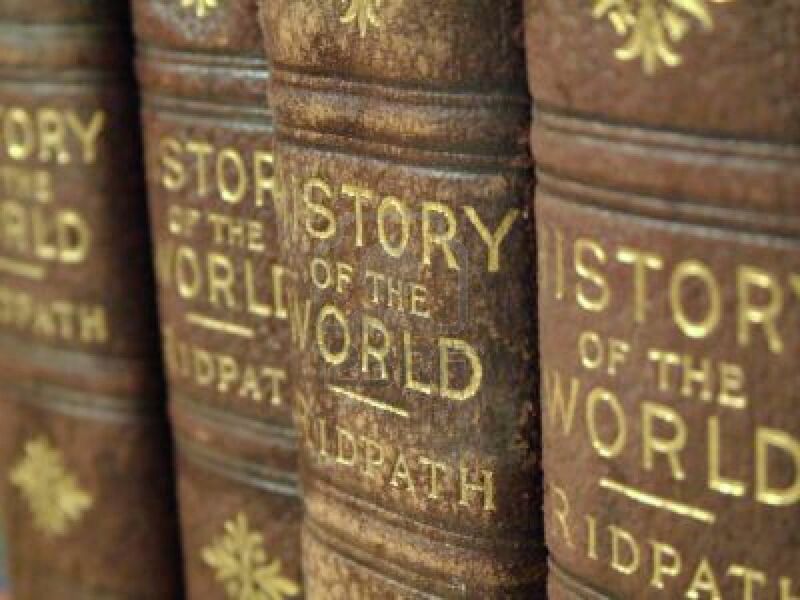 The number of books, both new and old, that are out there for a Christian majoring in history is overwhelming. I would suggest that a young student or teacher simply settle for just collecting and reading a few thousand of them. The rest will have to pass by the wayside. The first book in this category is Richard Weikart’s The Death of Humanity and the Case for Life. One might think that this was another book promoting a pro-life culture and opposing such things as abortion, euthanasia, and genocide. Well, it certainly does all that, but this is a historical study. The modern age was not birthed in an egg that just appeared out of nowhere. Ideas have consequences, and the morning news is always reporting the consequences of ideas. Philosophers, scientists, social commentators, and political leaders were mixing the brew of modernity for centuries prior to our times. Francis Schaeffer’s book How Should We Then Live?, published in 1976, is still unsurpassed as a panoramic view of the men (and women) and ideas that have shaped Western Civilization. Dr. Weikart, who teaches history at California State University, has produced a great supplement and update to Schaeffer’s work. In just Chapter One, titled “Man the Machine,” Weikart begins by discussing Julian La Mettrie, author of the book Man the Machine in 1747. La Mettrie said, “The soul is but a principle of motion or a material or sensible part of the brain, which can be regarded, without fear of error, as the mainspring of the whole machine.” That is just one explosive statement from a materialist philosopher from the French Enlightenment. Other thinkers covered in chapter one include August Compte, Claude Helvetius, Karl Vogt, and Bertrand Russell. These may seem like obscure names of unimportant people. They are not as interesting as such historical figures as George Washington and Napoleon, but these were men whose ideas, based on faulty worldview, helped create the world we live in today. Christians have answers to the faulty worldviews. Abraham Kuyper, the Dutch Christian polymath, politician, and theologian, gets credit for emphasizing a “world and life system,” which is more often called “a Christian worldview.” He was not the first or the last to call upon Christians to love God with all their minds. But, sadly, the church has often retreated from the world that Christ died to save. Christians have often conceded vast swathes of human endeavors–government, art, sciences, literature, economics–to the unbelievers. Our hope is in heaven, we say, as we retreat across the vast landscape once dominated by Christian thought. Keith Sewell was a history professor at Dordt College in Iowa. He is Brit who labored for years in America and now lives in Australia. Across three continents, several decades of study and teaching, and experiences in various churches, he has written a blockbuster on Evangelical Christianity. His book is The Crisis of Evangelical Christianity: Roots, Consequences, and Resolutions. It will be difficult for the books I read over the remaining months of 2016 for any of them to best this one. This book is essential reading in both the fields of history and theology. With the 500th anniversary of the Protestant Reformation just months away, it is a good time to begin the celebrations, but also to discern the shortcomings. Sewell focuses upon several stages of the Reformation. Often history textbooks include chapters on the Renaissance, the Reformation, and the Scientific Revolution side by side. The subsequent chapters then pick up the theme of the Enlightenment. The Great Commission calls us to go out into all the world and proclaim Christ’s Kingdom. Again, the Church has often limited this to soul saving and individual experiences. (And neither Dr. Sewell nor I am against those things.) But the Kingdom is bigger and applying a Creation-Oriented, Bible Directed worldview is still lacking. But the church did not begin to stumble after the Jesus Movement of the 1960s. 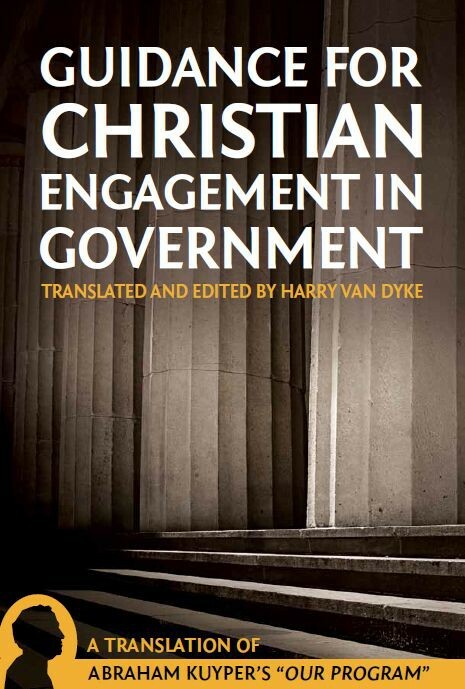 Hence, this book details the history of Christian thought and action during pivotal events such as the English and Scottish Reformations. In both the Americas and Britain, the Great Awakening was truly a great revival, but it left many gaps open for weakening the faith. The Social Gospel, the First World War, the rise of Darwinian Naturalism, and other events slung the faith into one turnbuckle after another (to use a wrestling metaphor). But Evangelical Christianity has had voices crying in the wilderness. Dr. Sewell recognizes and appreciates the work of the Dutch thinkers such as Herman Dooyeweerd who offered a broader message. Millennial debates and distractions, although not unimportant, have not advanced Evangelical Christianity. I heard a graduation message recently where the speaker said we needed to take more heed to Jonathan Edwards’ studies of Old Testament prophecies and their fulfillments than to just waiting for Jesus to come. This book advances the kind of thinking that will reorient us to a broader Christian vision. The past is full of riches and mistakes. This book can help us distinguish the two. I have previously touted the merits of Timothy George’s Theology of the Reformers. The book was originally published nearly 30 years ago and is now been reprinted and expanded. I will sing its praises again. 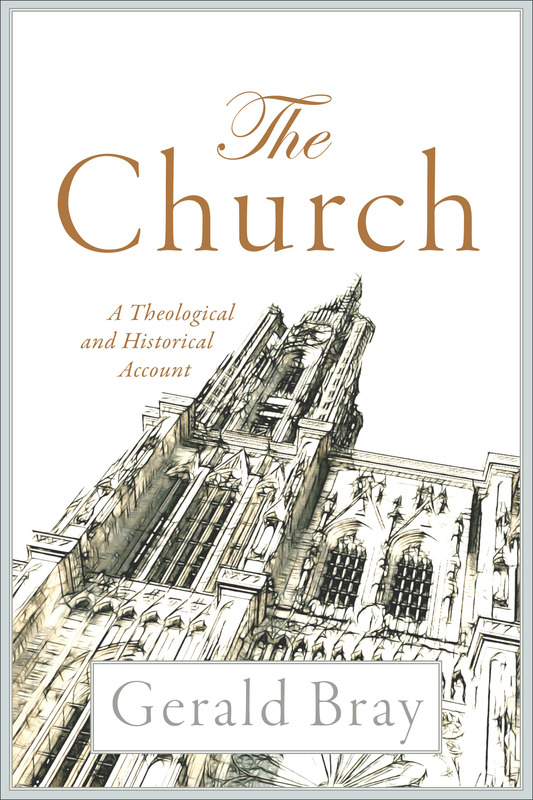 The chapter on the Medieval Church was balanced and outstanding, but that was just the beginning. Martin Luther, John Calvin, and Ulrich Zwingli are covered in extensive chapters. I have read numerous accounts of all three men, but found myself listening (in my head as I read) with the excitement of a new convert to Reformation studies. This book is not for beginners. Michael Reeves’ The Unquenchable Flame: Discovering the Heart of the Reformation is the better starting grounds. But for the person who has read the biographies, histories, and and actual writers, George’s book is top shelf. I also greatly appreciated his study of Menno Simmons and the Anabaptist movement. Dr. George, a Reformed Baptist, identifies much more with Calvin and Luther than with Simmons, but still he gives a thorough and helpful account of both Simmons the man and the broader Anabaptist movement(s). I also learned quite a bit about William Tyndale, the last person covered and one not covered in the original edition. Timothy George has been moved to the rank of being one of my “must have his books” writers. This book, like several of the previous ones, consists of lengthy chapters covering wide periods of history. These include the New Testament Church (the first hundred years), the Persecuted Church (a few centuries after the Church’s beginning), the Imperial Church (from the age of Constantine through the Middle Ages), the time of crisis in the late Medieval Church and Reformation time periods, and then on up to the present. Bray is an Anglican who has had lots of interaction with different denominations and Christian traditions. He is a searching an honest historian. We may have our manuals of church government laying out the “Biblical directives” for our congregational, presbyterial, or episcopal systems, but we are products of history. That is, we are putting forth good and pragmatic methods that have some, but not absolute Biblical bases. This book is challenging, is not an easy read or mindless devotional, but it is a good study for both heart and mind. A friend of mine, David Leach, recently asked me if I sometimes wish I had specialized in one area instead of branching out all over the place. He pegged me right. I think I must have a severe case of mental ADD; that, a form of attention deficit disorder that causes me to jump from one topic or subject to another without ever completing a thought on the first topic. Many of my Genoa Central students remember me as the teacher who was obsessed with the War Between the States. I don’t know why. That war usually only occupied about 7 of the 9 months of the school year when I was teaching at Genoa. For a time, I thought I was becoming a specialist. Then my interest didn’t wane, but they expanded. Studies of “The War” broadened to studies of the South. Then along came the Agrarians, who were historians, biographers, and poets. Southern literature consumed me, and became a specialty, until it forced open a door to the underpinnings of the Agrarian worldview–Western Civilization, Christendom, the Judeo-Christian/Greco-Roman culture. That account is still incomplete. Many are the times when I have journeyed off into Russian history, the Protestant Reformation, the Tudor and Stuart eras of British history, William Faulkner, Caroline Gordon, Jesse Stuart, Twentieth Century political history, and the development of the music we know as Bluegrass. Specialization might have resulted in my having become a recognized scholar, instead of a bookish gad-fly. Maybe I could now be safely confined on a university campus doing research on the cotton trade between South Carolina and Jamaica during the post-revolutionary era. I could stand tall knowing that no one could dare cross me on that topic. But, it didn’t happen and I continue to flit from book to book, era to era, classic to classic, genre to genre, biography to biography, and so on. I have had an increasing love and appreciation for the American War for Independence over the years. The causualty figures from that war seem often inconsequential when compared to the death tolls found in the War Between the States or the Two World Wars. The War for Independence contains a certain number of anomalies. Economically successful colonies were revolting from the most prosperous, free, enlightened, and well governed nation in the world of that time. Certainly, George III had his flaws and Parliament was often quite foolish and many Royal appointees were dolts. The Declaration of Independence rips into the King for his tyrannical ways. But this was fine tuning. Russians, Prussians, Spaniards, Frenchmen, and hosts of subject peoples across the globe were under far worse ruler and regimes. I would liken the American War for Independence to some of the doctrinal battle-royals that occur amongst Christians. Being in the Reformed or Calvinistic tradition, I am well familiar with the battles both before, after, and in addition to the many conflicts highlighted by John Frame in his essay “Machen’s Warrior Children.” The Americans who bandied together to form Committees of Correspondence, Continental Congresses, and the Continental army were fighting over small matters that violated major principles of political philosophy and theology. Americans today would likely welcome an act like the Tea Act, which actually resulted in lower prices for tea. I find myself straying away from the purpose of this blog which is to highlight some good books on the War for Independence. I will mention a few, but warn that there are many. This blog was inspired by reading a similar type essay that was written by Dr. Thomas S. Kidd of Baylor University. 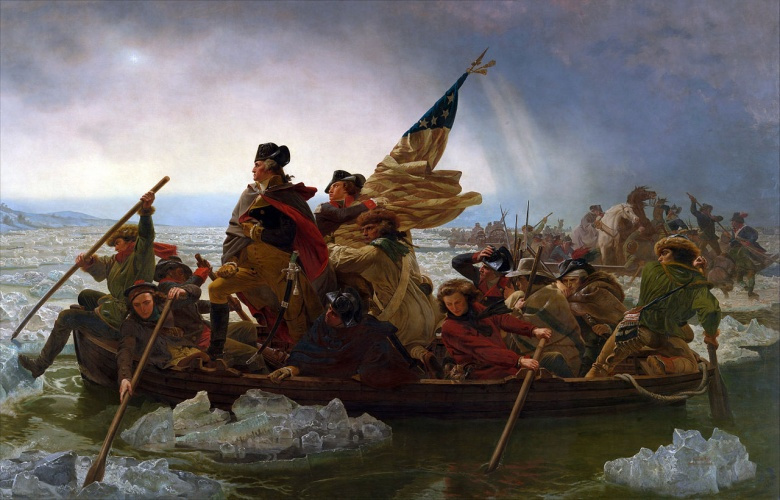 Dr. Kidd’s post is titled “Five Great Books on the American Founding Era.” In that post, he humbly alludes to, but does not mention his own books on the topic. David Hackett Fischer’s two volumes are real gems. The first is Paul Revere’s Ride and the second is Washington’s Crossing. 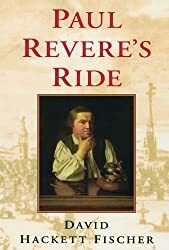 One might wonder how a short and only semi-successful event such as Paul Revere’s midnight ride could merit a whole book. Fischer covers a lot of ground, both biographical in terms of Revere and historical in terms of the events that led to an actual outbreak of hostilities. 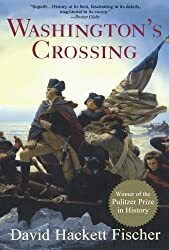 The book Washington’s Crossing is the real story of the Declaration of Independence, in my mind. Until Gen. Washington exploited a chink in the British army’s armor and hit them hard and unexpectedly at Trenton and Princeton, the Declaration was just words. The pen might indeed be mightier than the sword, but it is the sword which often gives force to what the pen has written. 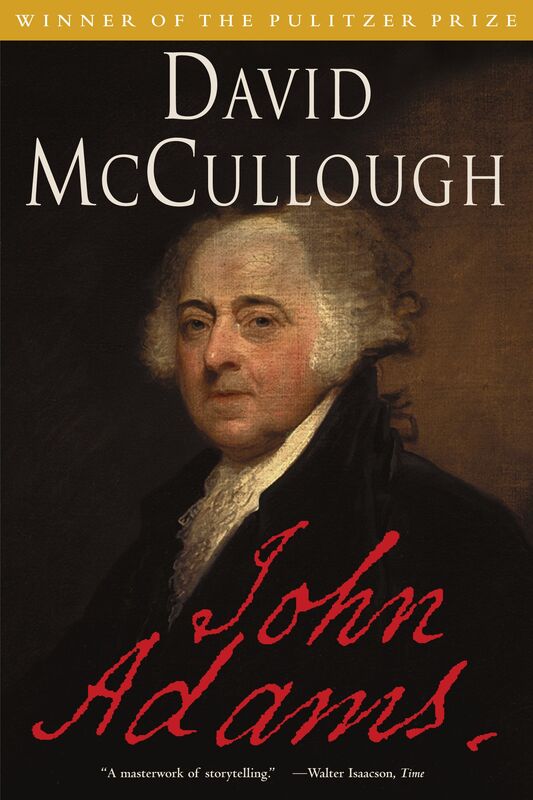 David McCullough has also written two fine books on America’s founding. I remember being very reluctant to read John Adams. I thought both John and son, John Quincy, to be too stuffy, too Yankee, too prim and prissy. John Adams, along with being a highly educated and scholarly man, was a real dirt farmer. He had his hands in the soil far more often than his friend/enemy/friend again Thomas Jefferson. And he was principled to a degree that it often cost him popularity. Unsuccessful as a President, he was vital to the American cause. 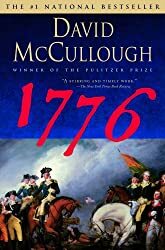 1776 is a study of the critical year when the Declaration was signed. It is interesting that the signing took place roughly in the middle of that year. It was not a pretty or pleasant year for the Americans. Those were the times that try men’s souls, to paraphrase Thomas Paine. 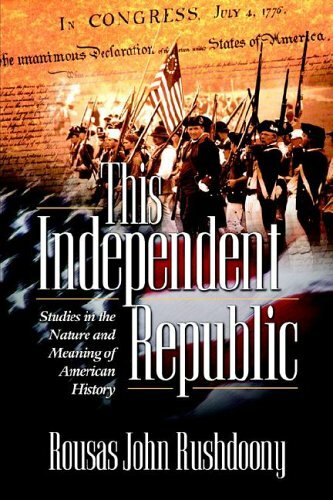 Thomas Fleming has written a number of excellent histories, and some novels as well, on the American War for Independence. These two books give a good account of both the beginning and the ending of that war. 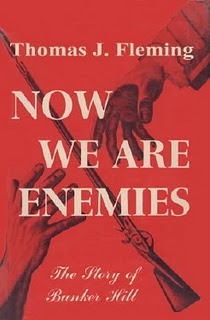 Now We Are Enemies originally came out in the early 1960s and has been reprinted. Bunker Hill, sometimes known as Breed’s Hill, was a critical battle. The newly formed Continental Army, and this was before Gen. Washington had control, managed to give a good account of itself at this early battle. The British succeeded in driving the Americans from the field, which puts the battle in their “win” column, but they paid a hefty price. 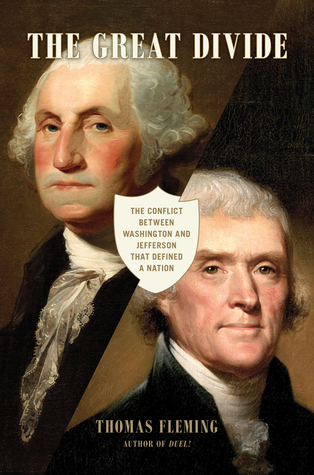 The Perils of Peace: America’s Struggle for Survival after Yorktown was an amazing eye-opener. 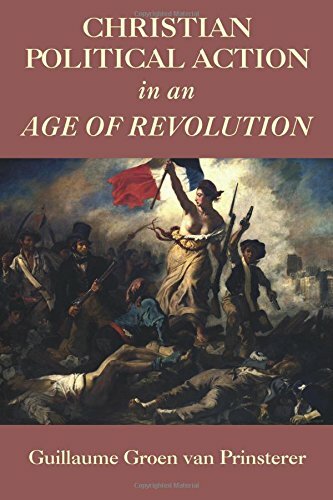 The standard history textbook quickly jumps from the victory at Yorktown, Virginia in 1781 to the end of the war, the Peace of Paris, and the post-war status of the newly founded nation. But there were two long years between Yorktown and victory. The British were far from whipped and the possibilities of American independence were just that–possibilities. This is a great account of the missing gap in our history texts. I remember well the day that Stephanie and I were at Colonial Williamsburg (a place I love). We had been mustered in to a small regiment that were being trained as infantry for battles. Colonial Williamsburg includes lots of interactions with colonial and Revolutionary War activities. Our guns were sticks, and we were given a few rudiments of marching and firing. The narrator guide made several references to a book, which I quickly picked up at the bookstore. It was Private Yankee Doodle. 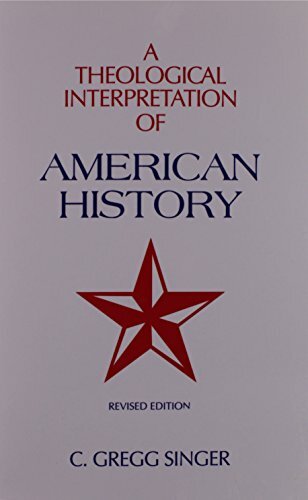 A few years later, I discovered the abridged version of this first-hand account and added it to the books I often use in teaching junior high American history. A soldier’s life is scary, confusing, dull for long stretches, filled with longings, which include hunger, and times of terror. 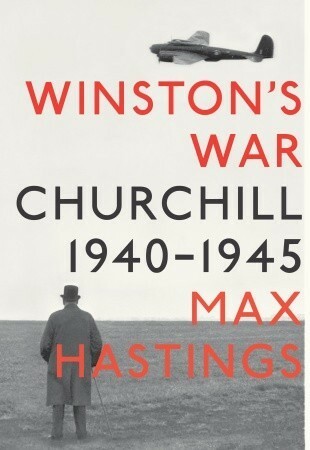 This is a great book for seeing the war from someone who was there and was young enough to experience the long-term benefits. 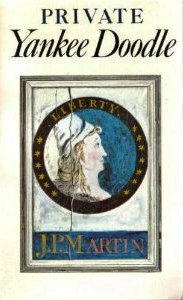 Johnny Tremain by Esther Forbes is a novel. More than that, it is a novel that is usually pitched toward younger, maybe junior high age, readers. Both of my daughters read it in sixth grade and loved it. My daughter Caroline was obsessed with it for a time. Don’t skip over this by thinking that Johnny Tremain is juvenile fluff. This is a great book. I loved it when I read it in high school on my own and have loved ever subsequent re-reading of it. It is a great story, well told. But it is also a good historical novel. Esther Forbes, who also wrote a really good work on Paul Revere, captured colonial Boston during the time when events were quickly moving from political talk to fighting. Many of the key figures of the events around Boston show up in the book, including Revere, Samuel Adams, and others. C. S. Lewis once said, “A children’s story that can only be enjoyed by children is not a good children’s story in the slightest.” Amen to that. 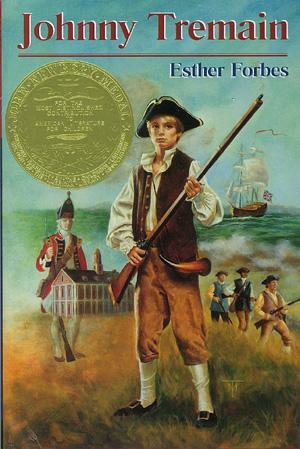 Johnny Tremain can be enjoyed by children and adults, fans of history and fans of good literature. One last note, many years ago, Disney made a movie version of Johnny Tremain. It was a weak version of the book and very disappointing. Surely there is someone out there somewhere who can see the potential for this book to be made into a first rate movie. Well, my mind has been on the War for Independence long enough. Now I am wondering what Abraham Kuyper has to say about Dutch politics in the late 1800s.